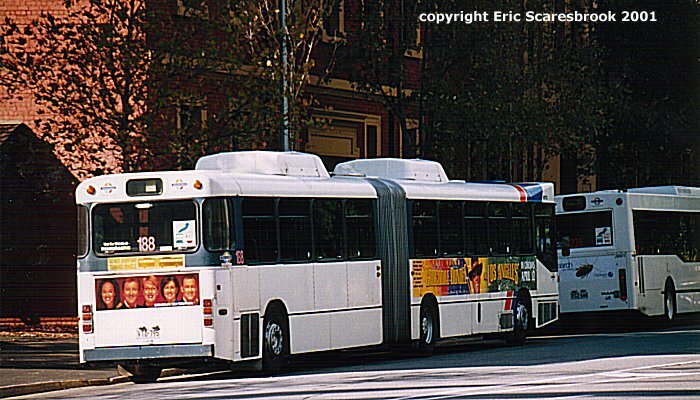 Adelaide's buses have been privatised and are running to a varying range of colour schemes. 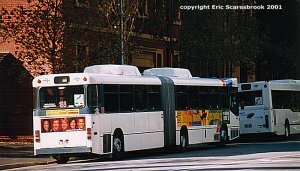 These buses are regular sized buses. Adelaide also has regular sized buses and buses that run free around the CBD. 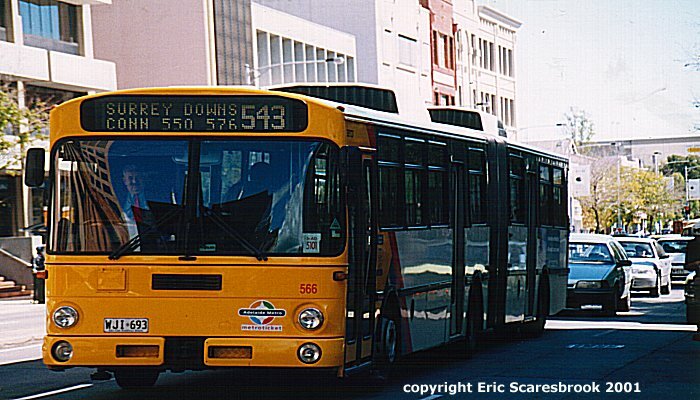 Adelaide has many articulated buses - some can run on the O-bahn. 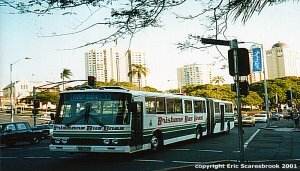 The easiest way to pick an O-bahn bus is the yellow flashing light on the rear as well as several guidearms. 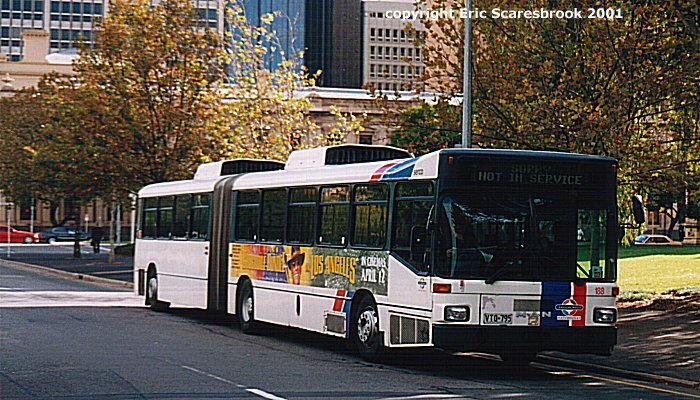 Adelaide seems to have more articulated buses than any other Australian capital city. 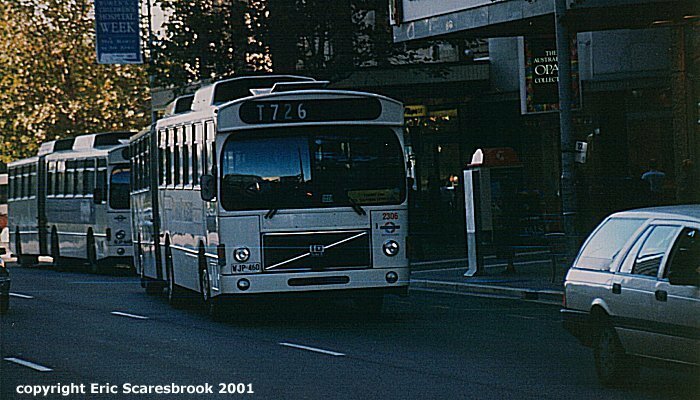 2 Volvo articulated buses are southbound on King William Street in the centre of town. 5 April 2001. 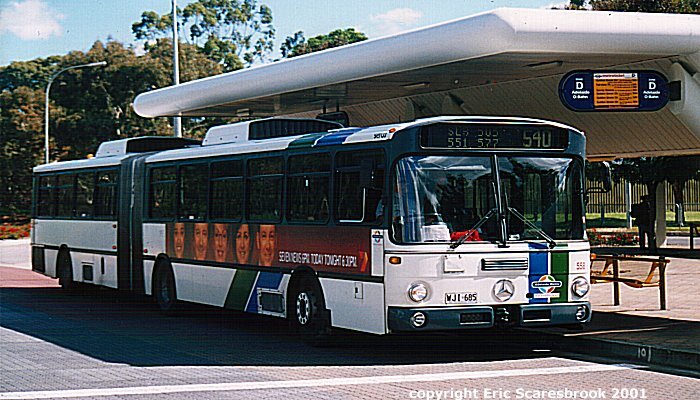 Serco articulated bus in new colours at the Clipsal 500 temporary stop on Rundle Road bound for Modbury via the O-bahn. 8 April 2001. 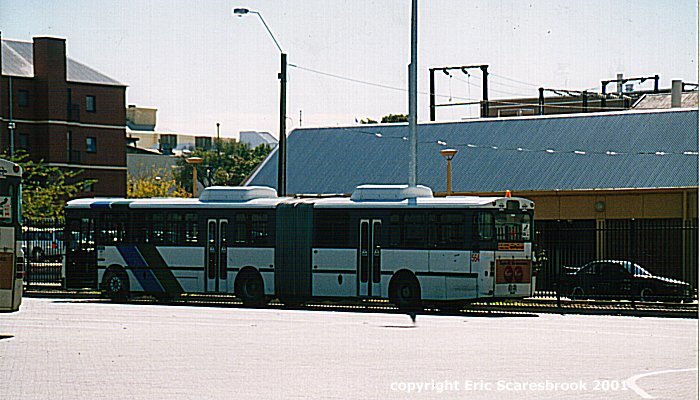 Serco articulated bus at the Clarendon Street bus terminal, 9 April 2001. 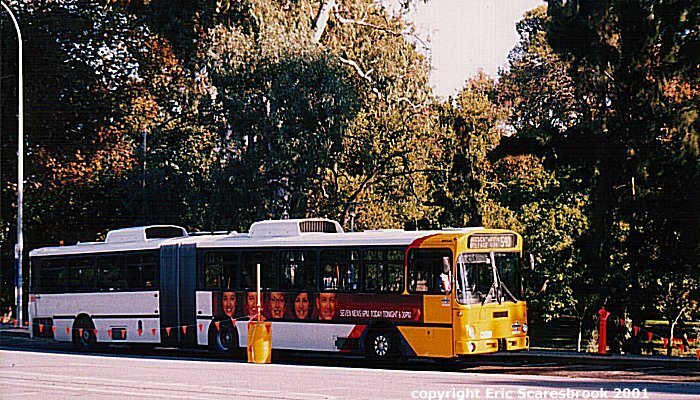 Articulated bus on Currie Street, 9 April 2001. 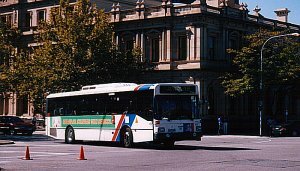 Articulated bus at Victoria Square, 9 April 2001. 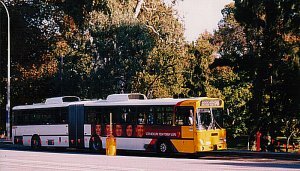 A northbound articulated bus at Paradise Interchange on the O-bahn. 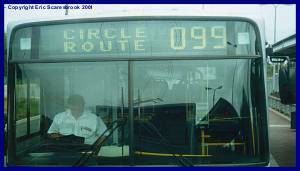 9 April 2001.